Carpet Cleaning, Area Rug & Upholstery. Organic. Family Owned! NON-TOXIC, HYPOALLERGENIC, KIDS and PET FRIENDLY. DRY IMMEDIATELY NO WAITING. HONEST. VETERAN OWNED. Good Carpet Cleaner. Raleigh NC, Apex NC and Cary NC families LOVE That We Clean Deep Yet SAFE! The Healthy Carpet provides residential and commercial carpet cleaning, area rug cleaning and upholstery cleaning. To the PENNY quote before any job. No surprises. NO WET Carpets, NO WAITING time. No Musty Smell. Upholstery Cleaning in Cary. Area Rug too. Baby Safe. Have a peace of mind. Have a peace of mind knowing we use safe, non-toxic, eco-friendly products, meets EPA/DPE standards that will keep your home clean and your family safe. We are a Veteran Owned Business and your local cleaners in Apex & Cary. Carpet Specialist in Raleigh, Apex & Cary. No wet carpets, No drying time! The Healthy Carpet, is knowledgeable in Pet Stain and Odor Removal. We use enzyme to not only remove stain but kill bacteria. The results, No more SMELL! Remember, If it still has a smell it is not clean. Your family's health is our top priority! 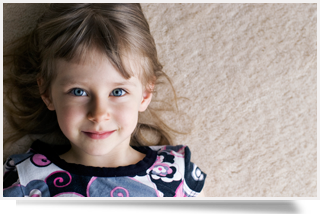 We offer organic carpet cleaning to families like us with asthma and allergies! Healthy is New Way to Clean! Rated #1 and 5 stars! The Healthy Carpet is RATED #1 as Carpet Cleaning Raleigh NC. Five Star Review in Google, Homeadvisor, Angie’s List and Facebook for Carpet Cleaning in Cary and Carpet Cleaning in Apex. We are Economical, Powerful, and Safe choice. Wet-vacuum or steamers is an old way of cleaning, we use Dry Organic Cleaning method. Our healthy and non-toxic cleaning products will keep your home clean and your family safe. Try our service once and you will never look for another carpet cleaner again, Guarantee! We offer both RESIDENTIAL and COMMERCIAL Carpet Cleaning, Area Rug and Upholstery too using Organic cleaning products that are food grade! We are family and veteran owned business serving Apex, Cary, Durham, Holly Spring, Fuquay Varina, Raleigh and surrounding communities. Our products will NOT invalidate or VOID a carpet’s warranty. Our Non-Toxic, Hypoallergenic and Pet Friendly carpet cleaning service will leave your home healthier. No Risk for Molds and Improves Indoor Air Quality. ♥ Our method removes dust mites, mold, pet dander and other allergens, important for people with Asthma, specially the children. ♥ We use organic and non-toxic cleaning products. Our CRB cleaning machines use two counter-rotating brush to deeply clean your the carpet with minimum water, preventing MOLD growth. ♥ Our machine offers additional benefit of pile lifting and grooming. Your carpet will look like NEW. Checkout our google reviews, you will soon see why our carpet cleaning Raleigh NC, Apex and Cary cleaning methods are the first choice for homeowners and commercial suites. ♥ Green Cleaning Meets EPA/DPE and Green chemistry guideline standards. Why The Healthy Carpet is the right choice? ♥ We take pride in the quality of our work, 100% Guarantee! ♥ Our family with Asthma is our first customer! ♥ We can handle the really tough jobs! Check out our before and after images! Why Dry Carpet Cleaners is BETTER? Your carpet is your biggest air filter, filtering dirt, bacteria, dust mites and allergens. Without carpet all this allergens will be in the air you breath. You change your air condition filter monthly, why not maintain you biggest air filter, your carpet? Indoor air is far more polluted than outdoor air, according to EPA. It is recommended to clean your carpet and floors at least once a year, every six months if you have a pet! This is the easiest way to have a Quality Indoor Air! We clean Area Rugs and Upholstery too! Why NOT steam cleaning or steam cleaners? You take the RISK of leaving moisture underneath your carpet. Dry carpet cleaners DOES NOT have this risk. You WAIT for your carpet to DRY at a minimum 12 to 24 hours. It only takes 8 hours for MOLDS or BACTERIA to grow. Dry carpet cleaning method is recommended for people with Asthma or people highly allergic to indoor allergens. The costs do not vary much between the two, which means dry cleaning is not only better but cost-effective as well. #1 Rated Cary, Apex and Raleigh Carpet Cleaning Services! We do Area Rug Cleaning and Upholstery Cleaning too! NO DRYING TIME CARPET CLEANING!